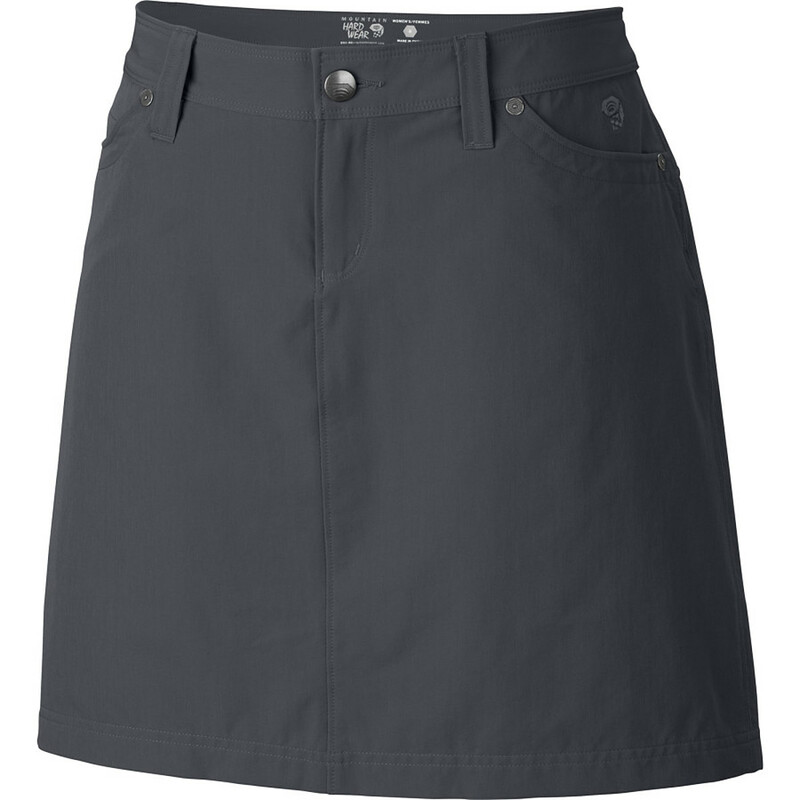 Visit Mountain Hardwear's La Strada Skirt page. 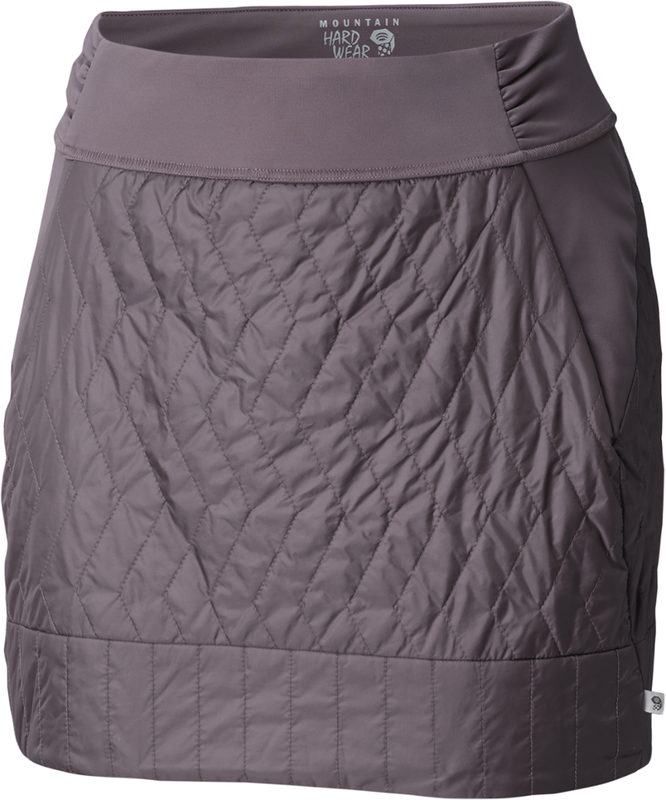 The Mountain Hardwear Women's La Strada Skirt gives you fashionable style with all the movable freedom in the world. 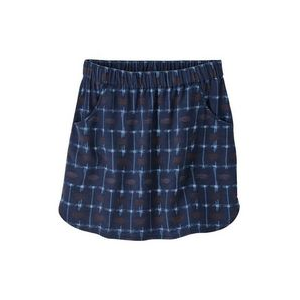 This durable, sleek, and stretchy twill skirt features DWR finish for enduring water-resistance, convenient when you're marathon sight-seeing in monsoon season, hiking to a waterfall, or spilling your bev on a backroads bus ride. A handy hidden zippered coin pocket secures cash or other essentials. The Mountain Hardwear La Strada Skirt is perfect for the adventure seeking traveler. The sleek styling and stretchy fabric create the perfect blend of functionality and fashion so you can go from airport to trail without breaking stride. A DWR finish helps keep light rain and fog away. 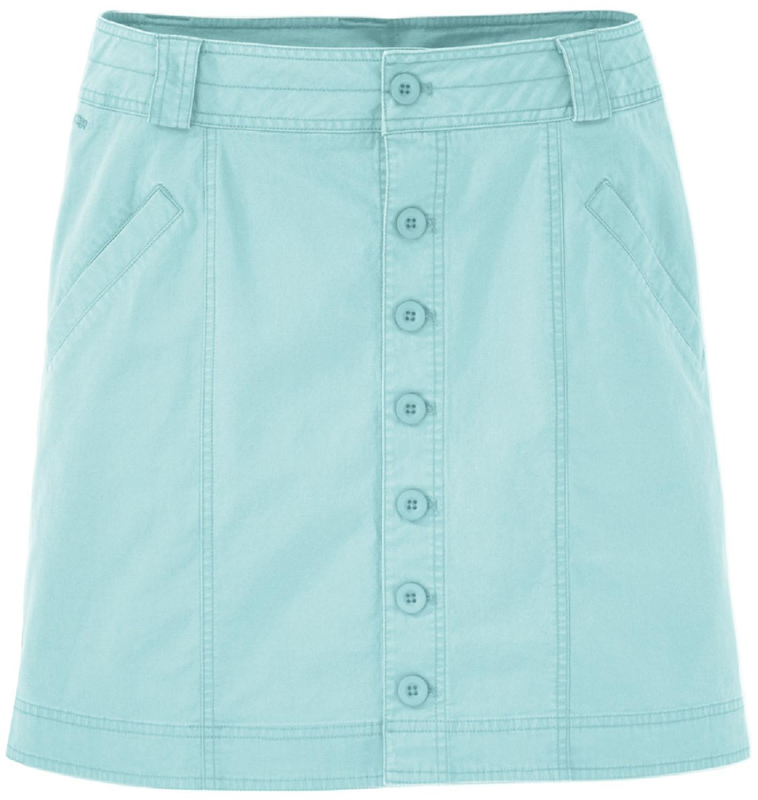 The Mountain Hardwear La Strada skirt is the perfect travel companion. It's easy to pack, lightweight and doesn't take up much room. Nylon twill fabric features durable stretch for easy movement; water-repellent finish sheds moisture. Waistband and hem lining features Dri-release(R) fabric to wick moisture away from skin. With a UPF 50+ rating, fabric provides excellent protection against harmful ultraviolet rays. Fixed waistband features a zip fly, snap closure and belt loops. Side-seam cinch drawcords let you adjust the hem for easy movement. 2 open hand pockets, 2 zippered thigh pockets and 2 rear patch pockets. 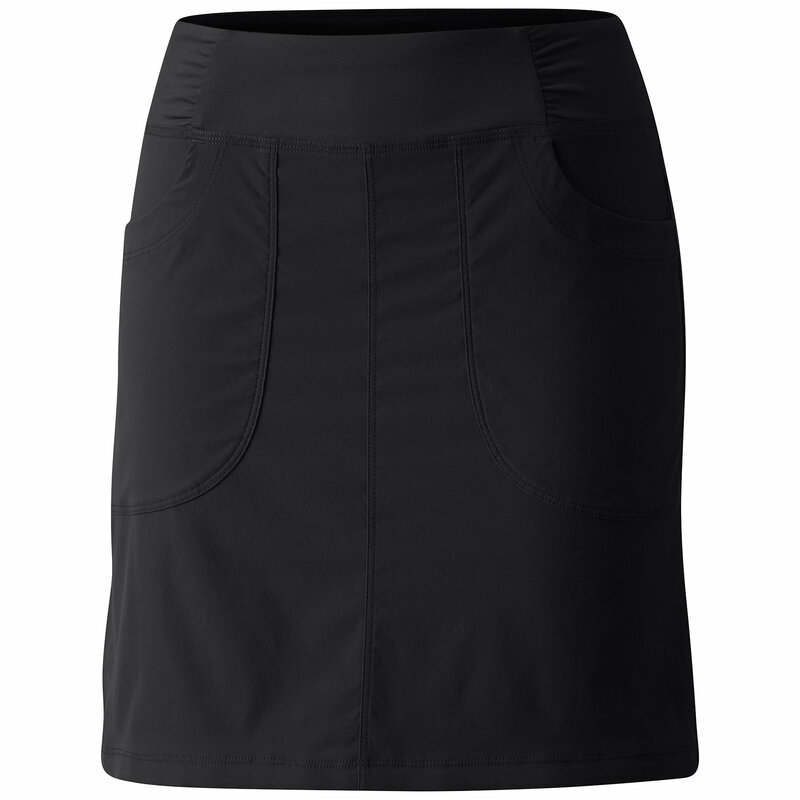 The Mountain Hardwear La Strada skirt is semifitted to enhance performance. Closeout. 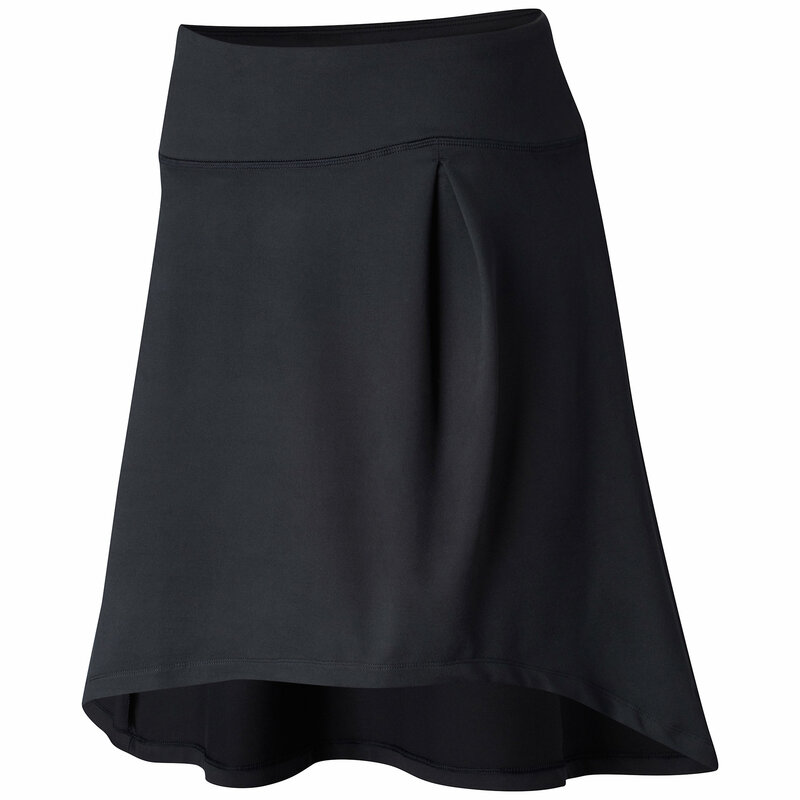 Stylish, comfy and perfect for travel, the Mountain Hardwear La Strada Skirt for women features a clean front, with a hidden side seam cinch and plenty of stretch. DriRelease waist lining wicks moisture and keeps you cool. 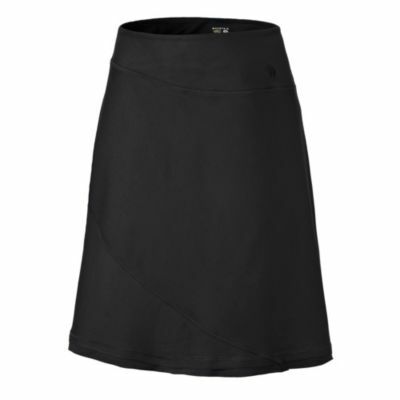 The Mountain Hardwear La Strada Skirt is not available from the stores we monitor. It was last seen June 16, 2017	at Rocky Mountain Trail.